This happens in the beginning of the fall. It could be quite scary. 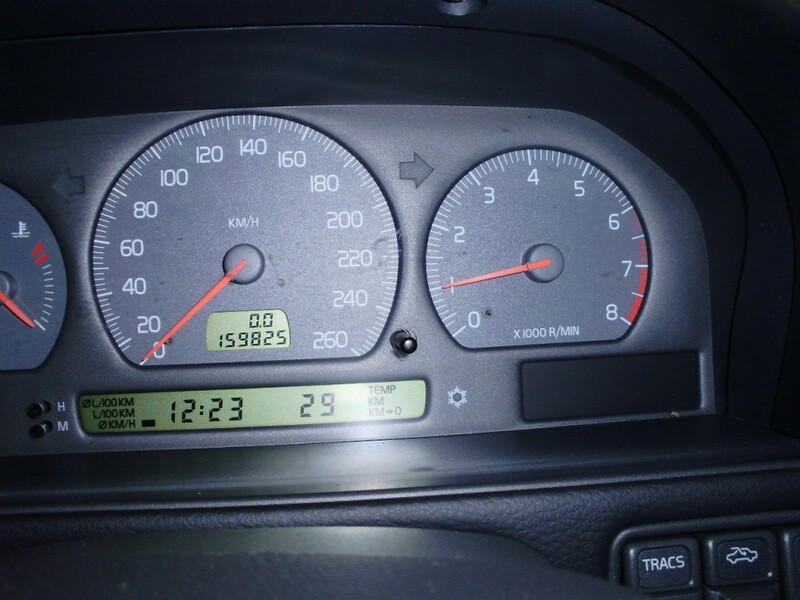 The ABS light comes on randomly and as it persists the speedometer goes dead at zero while doing 60-80mph. As it persists the Volvo goes into safe mode (not passing third gear), looses power and eventually check engine light comes on. Possible codes P1057, P0600, P1081, P0722, P1054 and as usual most of them are only detected by the special Volvo code readers. The problem is in the ABS module touching somewhere due to vibration and returning short signal. You can replace the whole ABS module which will cost several hundred dollars or use this easy fix described by Enes. 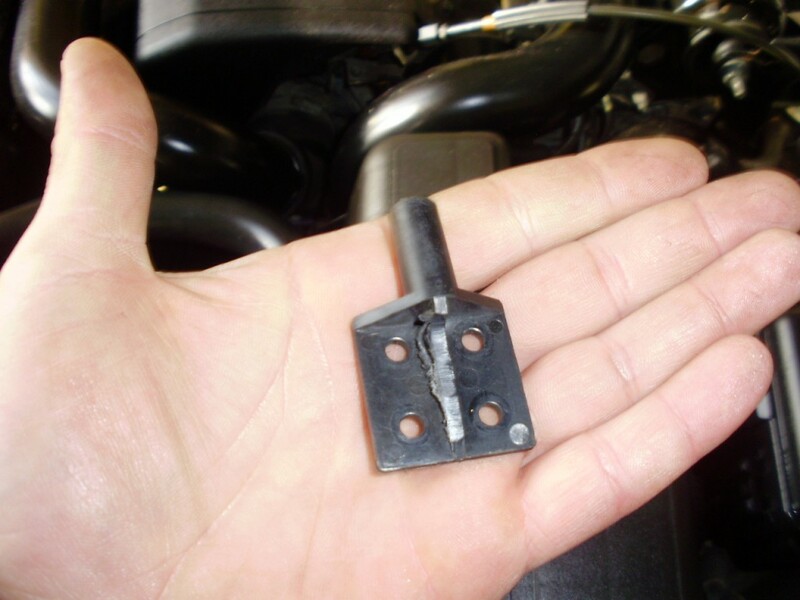 I used a folded Wal-Mart card that is still doing the trick for our Volvo V70. Is there a way to go around it? Yes, there is(sometimes). I tried this”unorthodox repair” on a 1998 V70 and it worked. Actually it’s still working 13 months later. It’s cheap and it required 15min of my time. 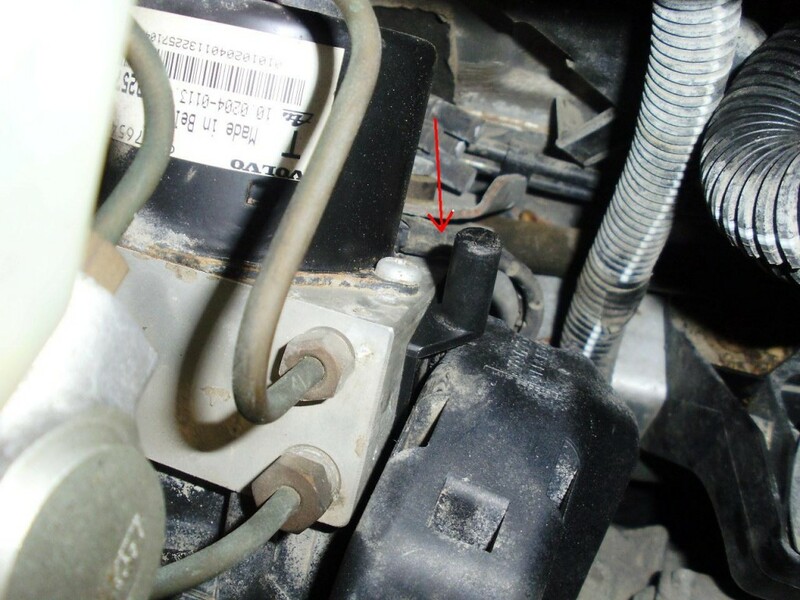 Abs Module is located on the left side of engine compartment under the fuse box. Good news is…you don’t have to remove it at all. The whole idea consist on putting some space between Abs pump and the Module. It can be done with almost everything: wood, cardboard, plastic. In my case I used a scrap piece of plastic. Take the spacer and push it between the pump and the module. Make sure it stays tight and won’t fall while driving. There we go..no Abs and Tracks light anymore and it’s working fine. I tried this method on 3 different Volvo’s with the same problem and it worked fine on 2 of them. No guaranties though but you lose nothing by trying it anyway. 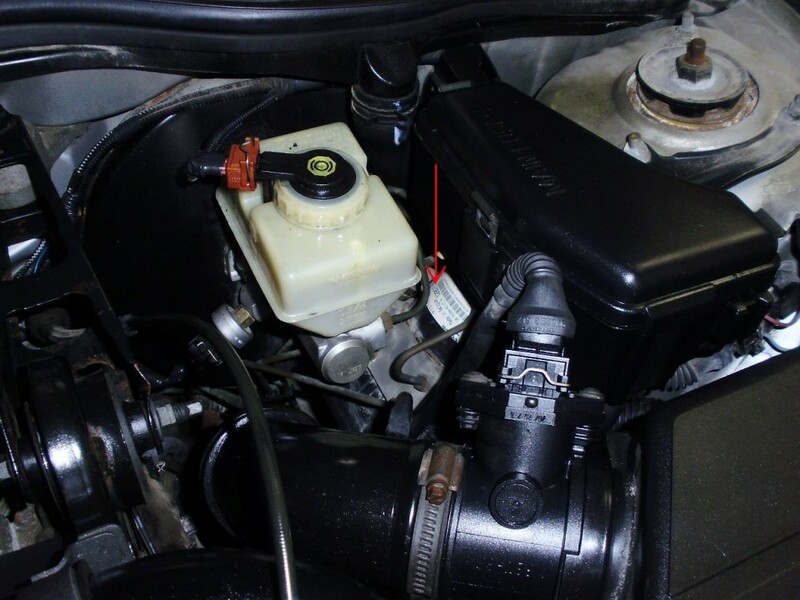 Now, don’t forget to clear your check engine light if it is still ON! 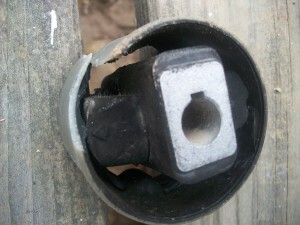 So this is picture of the original Upper Engine Mount which I removed from my Volvo v70. I went to Auto Zone, Advanced Auto Parts, and O’Reilles Auto to find a replacement part and they all wanted an arm and a leg. So I ended up getting a replacement piece off the internet for like $30.00.